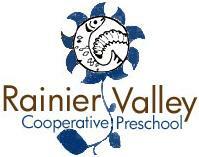 On your mark your calendars, get set aside time, GO to the the Rainier Valley Co-op Preschool fall festival! 1700 Block of Forest Street, Festival in front of Beacon Lutheran Church, recycled toy shop in the basement. Incredible fun in store for your family: block party, dj dance party, live music by Eli Rosenblatt, bike parades on the hour, hot dogs, bake sale, games for kids, treasure hunt in the sand box, face painting and tattoos. This event is so big we're closing down the block! Bring the kids, bring the kids' bikes, pick up some great toys at great prices, have fun and support a great school.